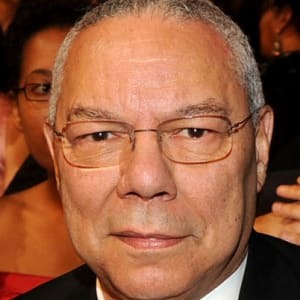 Colin Powell was the first African American appointed as the U.S. Secretary of State, and the first, and so far the only, to serve on the Joint Chiefs of Staff. Colin Luther Powell is a United States statesman and a retired four-star general in the United States Army. 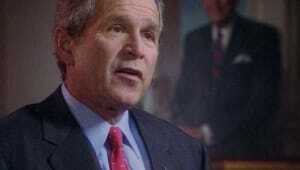 He was the 65th United States Secretary of State (2001-2005), serving under President George W. Bush. He was the first African American appointed to that position. He was the first, and so far the only, African American to serve on the Joint Chiefs of Staff. Born Colin Luther Powell on April 5, 1937, in Harlem, New York, Colin Powell was the son of Jamaican immigrants Luther and Maud Powell. He was raised in the South Bronx and educated in the New York City public schools, graduating from Morris High School in 1954 without any definite plans for where he wanted to go in life. It was at City College of New York, where Powell studied geology, that he found his calling — in the Reserve Officers&apos; Training Corps (ROTC). He soon became commander of his unit. This experience set him on a military career and gave him structure and direction in his life. After graduation in 1958, Powell was commissioned as a second lieutenant in the U.S. Army. While stationed at Fort Devens, Massachusetts, Colin Powell met Alma Vivian Johnson of Birmingham, Alabama, and they married in 1962. The couple now has three children: son Michael, and daughters Linda and Annemarie. That same year, he was one of 16,000 advisers sent to South Vietnam by President John F. Kennedy. In 1963, Powell was wounded by a punji-stick booby trap while patrolling the Vietnamese-Laotian border. During this first tour of duty, he was awarded a Purple Heart and, a year later, a Bronze Star. While on his second Vietnam tour of duty from 1968 to 1969, the 31-year-old Army major was given the assignment of investigating the My Lai massacre. In this incident, more than 300 civilians were killed by U.S. Army forces. Colin Powell&apos;s report seemed to refute the allegations of wrongdoing and stated, "Relations between American soldiers and the Vietnamese people are excellent." Also during this tour in Vietnam, Powell was injured in a helicopter crash. Despite his injury, he managed to rescue his comrades from the burning helicopter, for which he was awarded the Soldier&apos;s Medal. In all, Powell has received 11 military decorations, including the Legion of Merit. Powell earned an MBA at George Washington University, in Washington, D.C., and won a White House fellowship in 1972. He was assigned to the Office of Management and Budget during the Nixon administration and made a lasting impression on Caspar Weinberger and Frank Carlucci. Both men would consult Powell for advice when they served as secretary of defense and national security adviser, respectively, in the Reagan administration. Colonel Colin Powell served a tour of duty in Korea in 1973 as a battalion commander and after that, he obtained a staff job at the Pentagon. He attended the National War College in Washington D.C. from 1975-1976. He was promoted to brigadier general in 1976 and commanded the 2nd Brigade of the 101st Airborne Division. In the Carter administration, Powell was an assistant to the deputy secretary of defense and the secretary of energy. Promoted to major general, he again assisted Frank Carlucci at the Department of Defense during the transition from the Carter to the Reagan administration. He then served as senior military aide to Secretary of Defense Caspar Weinberger, helping to coordinate the invasion of Granada and the bombing of Libya. In 1987 Powell became national security adviser, a post he held for the duration of the Reagan administration. 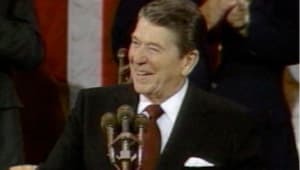 While there, he coordinated technical and policy advisers during Reagan&apos;s summit meetings with Soviet President Gorbachev and his conferences to topple the pro-Communist Sandinista government in Nicaragua. It was discovered that the administration had arranged for covert and illegal shipments of U.S. weapons to Iran in exchange for the release of hostages. Proceeds from the sale of the weapons would go to support the counter-insurgency movement in Nicaragua, which was aimed at toppling the Sandinistas. Such support had been prohibited by Congress since 1982. Powell was asked to testify before Congress about the incident, but he was not implicated in any wrongdoing. In 1989, President George H. W. Bush appointed General Colin Powell as Chairman of the Joint Chiefs of Staff. The post is the highest military position in the Department of Defense, and Powell was the first African-American officer to receive that distinction. General Powell became a national figure during Desert Shield and Desert Storm operations in Iraq. As chief military strategist, he developed what became known as the "Powell Doctrine," an approach to military conflicts that advocates using overwhelming force to maximize success and minimize casualties. 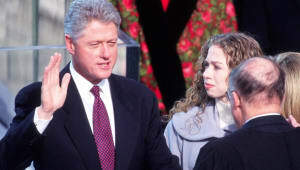 He continued as chairman of the Joint Chiefs in the first few months of the Clinton administration. He publicly disagreed with the president on the issue of admitting gays into the military, although he eventually agreed to the "don&apos;t ask, don&apos;t tell" compromise. Colin Powell retired from the Army in 1993. 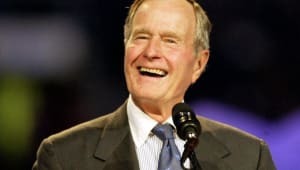 In 1994, he joined Senator Sam Nunn and former President Jimmy Carter on a last-minute peacekeeping expedition to Haiti, which resulted in the end of military rule and a peaceful return to elected government in that country. In 1995, he published a best-selling autobiography, My American Journey, which chronicles his life and its influences, the ins and outs of military bureaucracy, and what he learned in his life about personal rules and character. From 1997 to 2000, he was chairman of America&apos;s Promise, a nonprofit organization dedicated to fostering character and competence in young people. Powell and his wife, Alma, now co-chair the organization, which has a presence in more than 500 communities in all 50 states. In 2000, President George W. Bush appointed Colin Powell secretary of state, and Powell was unanimously confirmed by the U.S. Senate. At that time, this was the highest rank in civilian government ever held by an African-American. During his tenure, Powell came under fire for his role in building the case for the 2003 invasion of Iraq. Initially, Powell had serious misgivings about President Bush&apos;s plan to invade Iraq and overthrow Saddam Hussein. Powell believed the policy of containment was sufficient to control the Iraqi regime. He warned Bush that a military invasion would consume the president&apos;s first term and that if an attack were to occur, it should use overwhelming force and have broad international support. This support would be key to the rebuilding of Iraq. Bush decided to go to war and, in a crucial moment, Powell agreed to support the president. To advance the case for war with the international community, Powell appeared before the U.N. Security Council in February 2003 to present evidence that Iraq had concealed an ongoing weapons development program. Powell&apos;s reputation for integrity helped convince many in Congress and the country that Iraq posed an imminent threat. For the remainder of Bush&apos;s first term, Colin Powell tried to establish an international coalition to assist in the rebuilding of Iraq. In September 2004, he testified before Congress that the intelligence sources he used in his February presentation to the United Nations were "wrong" and it was unlikely that Saddam had any stockpiles of weapons of mass destruction. Powell advised the committee of the necessity to reform the intelligence community in order to improve its gathering and analysis. In 2004, after acknowledging it was unlikely that Iraq possessed stockpiles of weapons of mass destruction, Powell announced his resignation as secretary of state. 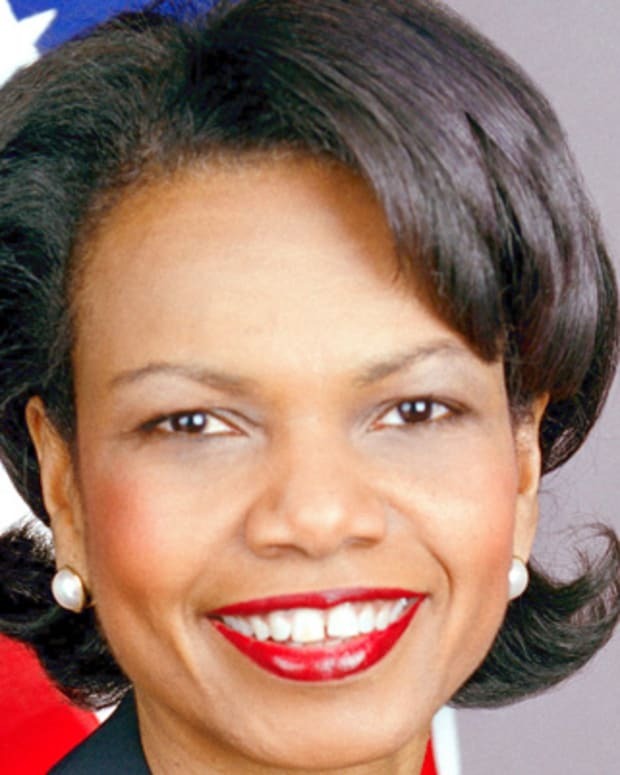 National Security Adviser Condoleezza Rice was his successor. Since his retirement, Powell has remained vocal on political topics, openly criticizing the Bush administration on a number of issues. In September 2006, Powell joined moderate Senate Republicans in supporting more rights and better treatment for detainees at the Guantanamo detention facility. In October 2008, Colin Powell made headlines again when he announced his endorsement of Barack Obama for president. Powell has also spent much of his retirement in the business community. In 2006, he was a speaker at a special series called Get Motivated, along with former New York Mayor Rudolph Giuliani. Powell also joined Kleiner Perkins Caufield & Byers, a Silicon Valley venture capital firm, as a "strategic limited partner." Most recently he joined the board of directors at Steve Case&apos;s new company, Revolution Health, a health-related portal site and social network that provides online tools to help people better manage their health. Colin Powell has spent much of his life inspiring many with his leadership skills and life experiences. Along with his wife, Powell began America&apos;s Promise Alliance, as part of their dedication to the wellbeing of children and youth of all socioeconomic levels and their commitment to seeing that young people receive the resources necessary to succeed. Colin Powell began his American journey from ordinary circumstances. His close-knit family provided support and a caring environment during his childhood. He found his calling in the military, and his entire adult life has been in the service of his country. As a soldier, he was committed to protecting the nation and advancing democratic values. While he gravitated toward support roles early in his career, his organizational talent and pragmatic outlook were recognized by those who placed him in key government advisory roles. Condoleezza Rice is the first black woman to serve as the United States' national security adviser, as well as the first black woman to serve as U.S. Secretary of State (2005-09). 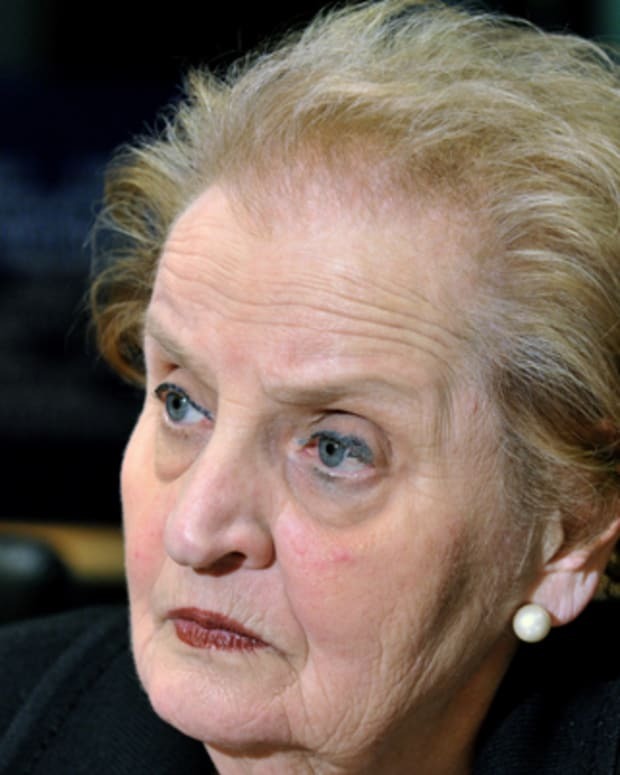 Madeleine Albright became the first woman to represent the U.S. in foreign affairs as the secretary of state. 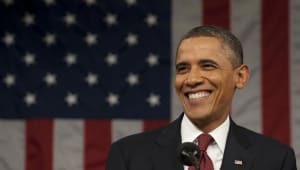 Barack Obama was the 44th president of the United States, and the first African American to serve in the office. 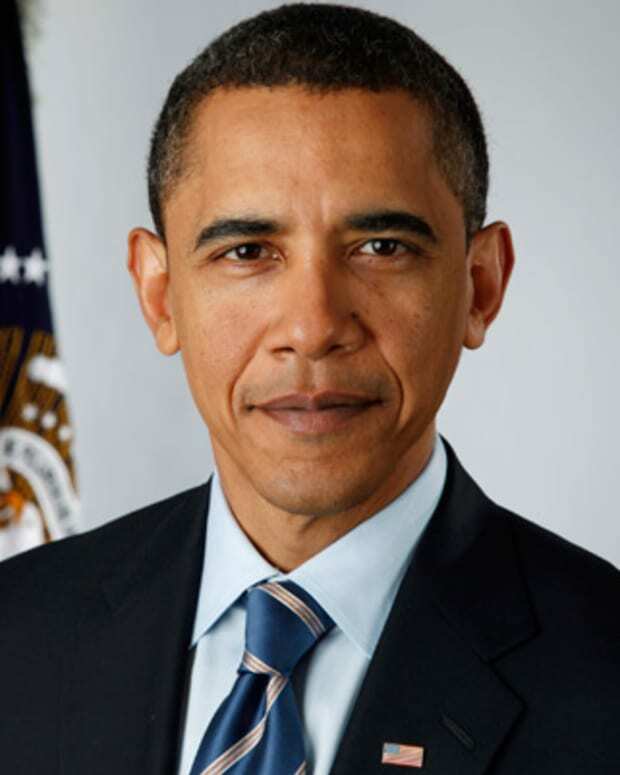 First elected to the presidency in 2008, he won a second term in 2012. 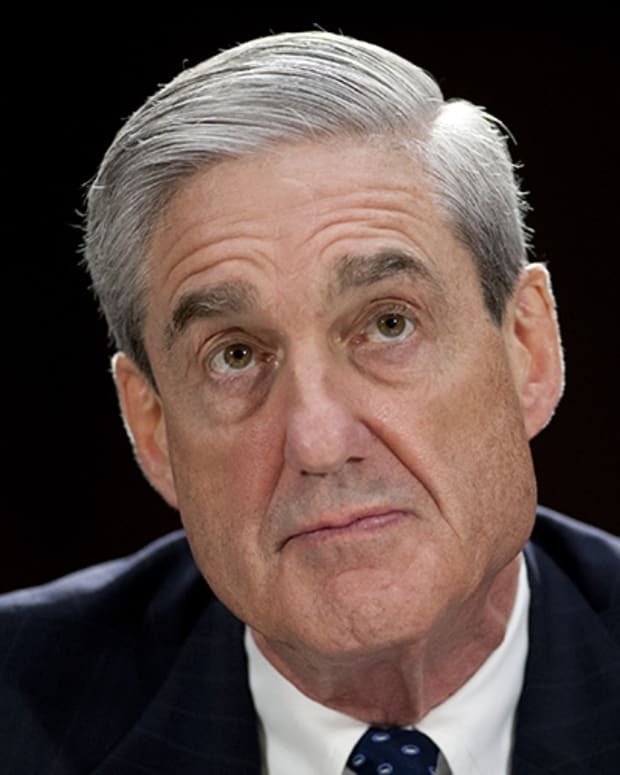 Robert Mueller served as director of the FBI from 2001 to 2013. In 2017, he was named special counsel to investigate Russian interference into the 2016 presidential election. 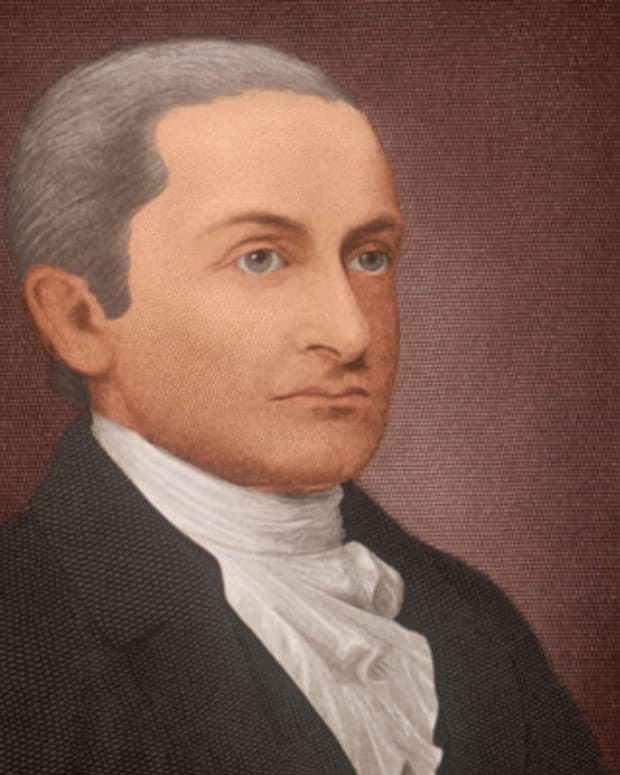 One of the Founding Fathers of the United States, John Jay is known as a writer of The Federalist Papers and for being the nation's first chief justice. When Hillary Clinton was elected to the U.S. Senate in 2001, she became the first American first lady to ever win a public office seat. 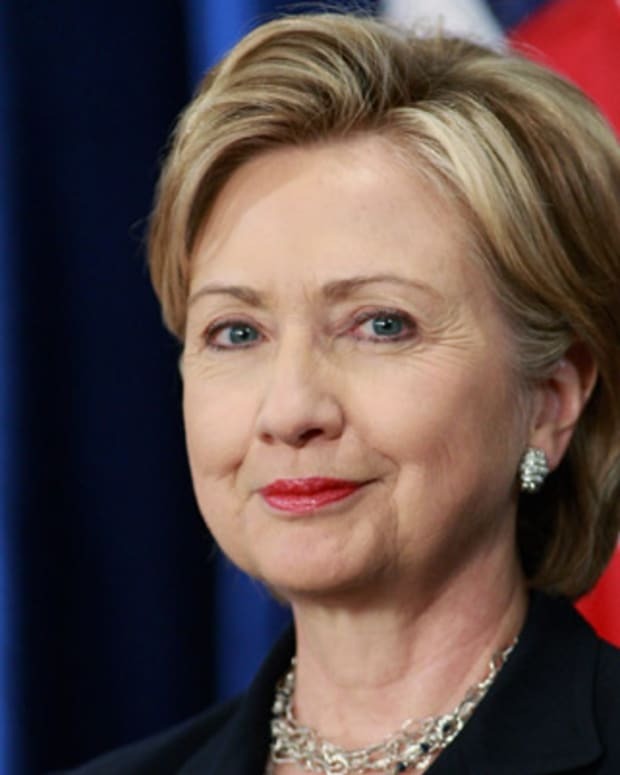 She later became the 67th U.S. secretary of state in 2009, serving until 2013. In 2016, she became the first woman in U.S. history to become the presidential nominee of a major political party. 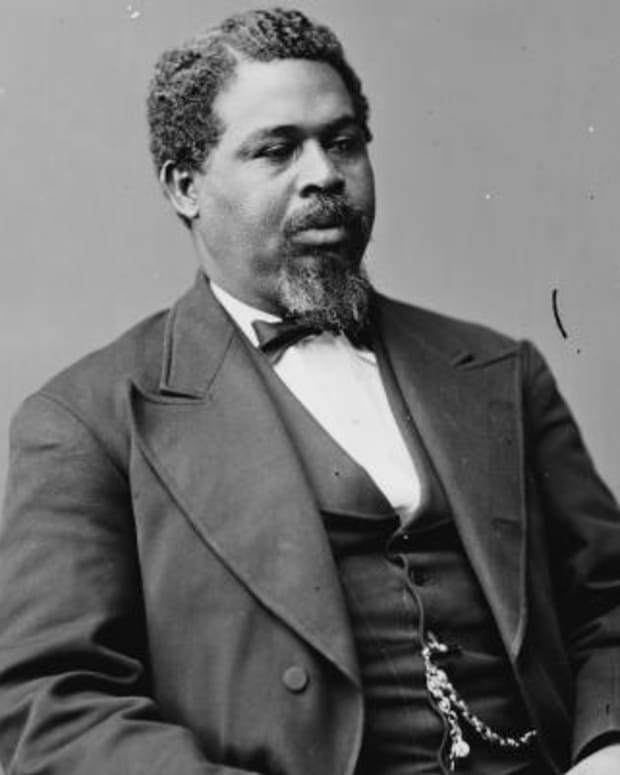 Robert Smalls was an enslaved African American who became a politician, serving in both the South Carolina legislature and the U.S. House of Representatives. 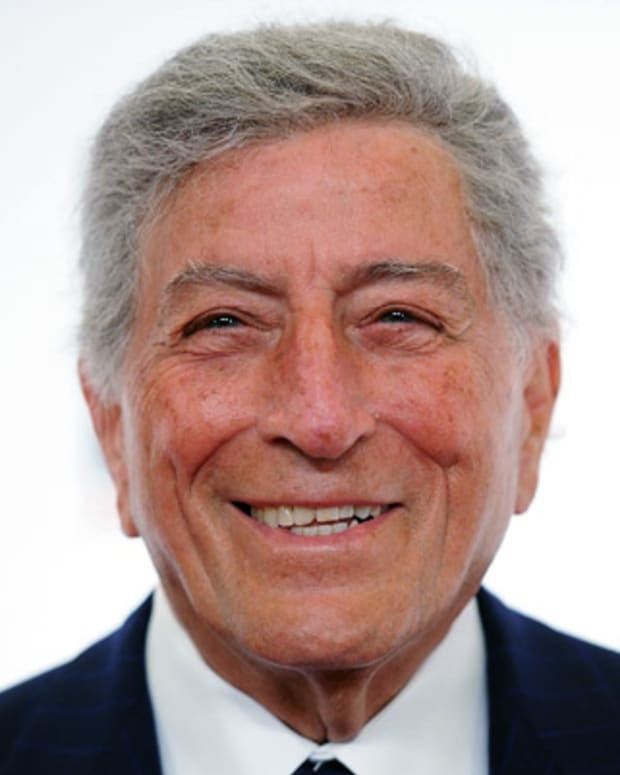 Tony Bennett is an American jazz vocalist, best known for performing standards and his signature song, "I Left My Heart in San Francisco." 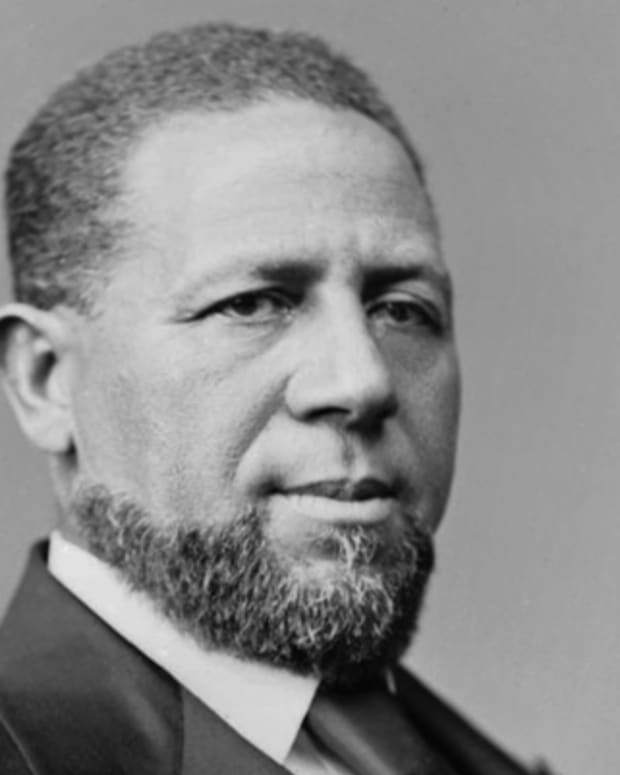 Hiram R. Revels is the first African American to serve in the United States Senate.